In this column, the languages which are missing titles will be shown. 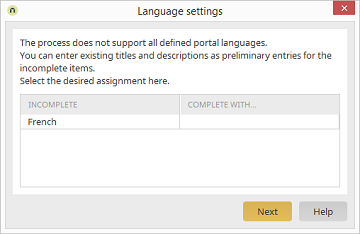 By clicking in this column, a drop-down list with the languages, which already have titles, will open. If you select a language here, the empty titles will be replaced with the titles defined in the selected language.